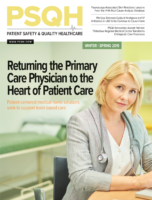 According to a new report from the Association of American Medical Colleges (AAMC), the United States could be short approximately 49,000 primary care physicians by 2030. With the U.S. healthcare system already feeling the effects of the shortage, some estimates say that the country needs 14,000 new doctors to enter the workforce in order to rid the country of primary care shortages in rural and urban environments. The problem is compounded by an aging population and expanded access to health coverage, as well as older physicians who will be retiring. The outlook becomes even more bleak when you add non–primary care physicians into the mix. In total, the United States could see a shortage of 120,000 physicians by 2030, impacting patient care across the nation. The AAMC report, The Complexities of Physician Supply and Demand: Projections from 2016-2030, was released in March and aligns with estimates conducted in 2015, 2016, and 2017. It shows a projected shortage of between 42,600 and 121,300 physicians by the end of the next decade. According to the AAMC report, the study modeled a wide range of healthcare and policy scenarios, such as payment and delivery reform, increased use of advanced practice nurses and physician assistants, and delays in physician retirements. The report details four broad categories of predicted shortages: primary care, medical specialties, surgical specialties, and other specialties. By 2030, the study estimates a shortfall of between 14,800 and 49,300 primary care physicians. At the same time, there will be a shortage of between 33,800 and 72,700 non–primary care physicians. These findings are consistent with previous reports and persist despite modeling that takes into account the use of other health professions and changes in care delivery. The AAMC says much of the increased demand for healthcare will come from a growing, aging population. The U.S. population is estimated to grow nearly 11% by 2030, with those over age 65 increasing by 50%. Additionally, the aging population will affect physician supply, since one-third of all currently active doctors will be older than 65 by the next decade. When these physicians decide to retire could have the greatest impact on supply. What is the reason for the predicted shortage of primary care physicians? Isn’t the medical profession attractive to many students, with the promise of prestige and a great paycheck? Well, yes and no. Although the medical profession typically pays well and can be an illustrious career path, there is a shortage of primary care physicians in underserved areas of the country, such as rural towns and inner-city urban areas. The problem is twofold, according to G. Richard Olds, MD, MACP, president of St. George’s University, a medical school in the island nation of Grenada. The school touts itself as the leading provider of new U.S. doctors, sending two-thirds of its graduates, who come from all over the world, into primary care and one-third into medical shortage regions. Olds says most medical candidates come from affluent areas of the country. They get into a good medical school such as Harvard, where they run up a large tuition bill. When many of these prospective physicians graduate, they won’t be inclined to go into primary care, where the pay, hours, and lifestyle are not as good as a specialty practice. In addition, they tend to get residencies at the best training hospitals in large cities, where the prospects of a good job are best, and then choose to practice in the most affluent areas of the country. This year’s AAMC report also repeated an analysis first conducted in 2017, which examined physician workforce demand to determine whether underserved populations had care utilization patterns similar to groups with fewer barriers to healthcare and physician access. According to the AAMC, if people living in non-metropolitan areas and people without insurance used care the same way as insured individuals in metropolitan areas, the nation would have needed an additional 31,600 physicians in 2016, with nearly half of those needed in the South. If all Americans had utilization patterns similar to non-Hispanic white populations with insurance in metropolitan areas, the U.S. would need an additional 95,100 doctors immediately. What’s the solution to the shortage? Olds says there are many potential answers. For one, he says the U.S. needs to make it more attractive for students to enter primary care, starting by fixing the salary differential. He contends the U.S. probably pays its specialists too much, and that’s largely because of its fee-for-service structure as opposed to other countries. In addition, he says not enough students are accepted into medical school from rural and urban America. Where students are accepted has no impact on where they end up practicing, Olds notes. In other words, a student from rural Idaho probably will not choose to practice in rural Idaho as a primary care physician when he or she gets out of medical school. Olds says he is also in favor of government support for tuition. In the military, there is no shortage of physicians because the military pays for education and gives doctors a six-year term of service. Perhaps if the country offers support for students, they could be encouraged to practice in underserved geographical areas, he argues. Also, Olds says that residency training is not equally divided across the U.S. For instance, New York and New Jersey have twice as many residency slots per capita than Florida and California. By comparison, Florida opened six new medical schools in the last few years, but he says if those schools don’t accept more students from Florida, the problem probably won’t be solved. In addition to training more physicians, the AAMC says a multipronged approach is necessary to ease the physician shortage. Medical schools and teaching hospitals are educating future physicians in team-based, interprofessional care, developing innovative care delivery and payment models, and integrating cutting-edge technology and research into the patient care environment. The AAMC also supports legislation that would provide federal support for an additional 3,000 residency positions each year over the next five years. These additional slots are crucial since every medical school graduate needs to complete training after medical school to practice independently. In addition, the AAMC says it supports federal incentives and programs such as the National Health Service Corps, Public Service Loan Forgiveness, the Conrad 30 Waiver Program, and Title VII/VIII workforce development and diversity pipeline programs, all designed to recruit a diverse workforce and encourage physicians to enter shortage specialties and practice in underserved communities. John Palmer is a freelance writer who has covered healthcare safety for numerous publications. Palmer can be reached at safetyjohn@yahoo.com.